Number sense puzzles are one of my favorite ways to challenge my first graders' math thinking skills...especially my early finishers. They are quick, low prep and engaging for kids. My five year old begs to try them at home when I print them out! Read on to see how to use number sense puzzles in the primary classroom and how I differentiate them for my highest thinkers and scaffold them so that even my 5 year old can successfully finish a puzzle on his own! What Are Number Sense Puzzles? 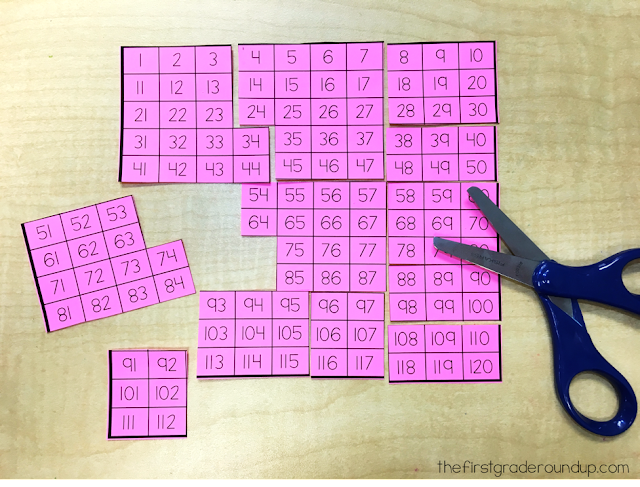 Number Sense Puzzles are cut up pieces of a hundreds chart that students use to put back together using what they know about number order. Why Should I Be Doing Number Sense Puzzles? 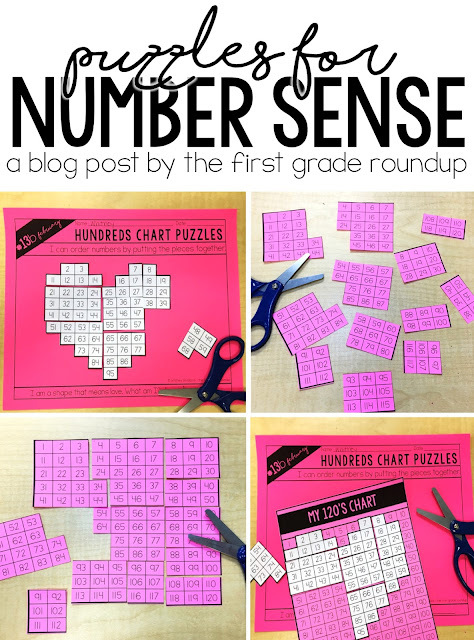 Number Sense Puzzles are important in the primary classroom for a lot of reasons. At the simplest level, they are great for giving kinder babies practice identifying and matching numbers. At the highest level, number sense puzzles force kids to think about number order and place value and compare 2 and 3-digit numbers. They are also fantastic at quickly exposing misconceptions that kids have with counting, number order, or place value. Who Are Number Sense Puzzles For? 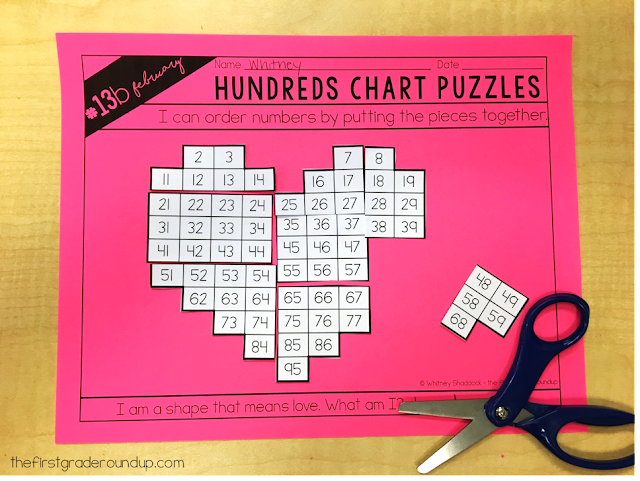 Kids from kindergarten to second grade can benefit from Number Sense Puzzles. Because these puzzles build number sense, any kiddo lacking these skills will benefit. 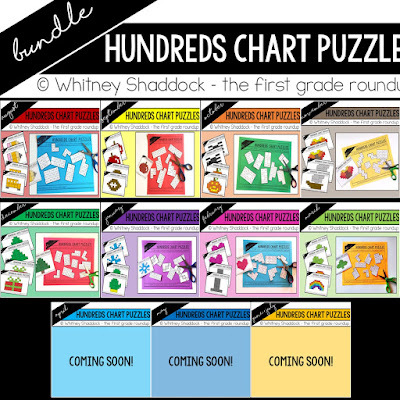 They are especially perfect for early finishers as a challenge, or RTI small group practice with scaffolds. There is definitely a wide range of options and differentiation with these puzzles! How Can I Do Number Sense Puzzles In My Classroom? Before my Mommy leave, I made my own Number Sense Puzzles in my first grade classroom. I simply copied a 120's chart on colored cardstock and laminated it. Then, I cut the chart into random puzzle pieces. BAM! Number Puzzles! I simply put the pieces in a bag and I was ready to go! I made multiple puzzles, each on a different color of paper to keep the puzzles separate and we used them as partner practice for math game day and in our math centers. How Can I Differentiate Number Puzzles? ...use the whole 120's chart for your on grade level kiddos, and cut apart a 200s chart for your higher kids. Another way to differentiate Number Sense Puzzles is with scaffolds. 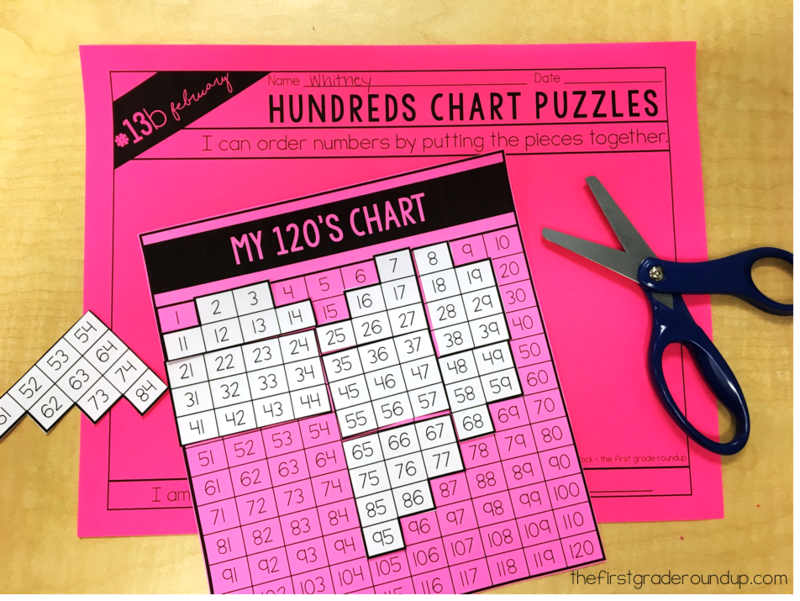 For kindergartners or RTI first or second graders, give them a completed hundreds chart to either use as a reference, or as a puzzle mat to place the pieces on top of the chart. 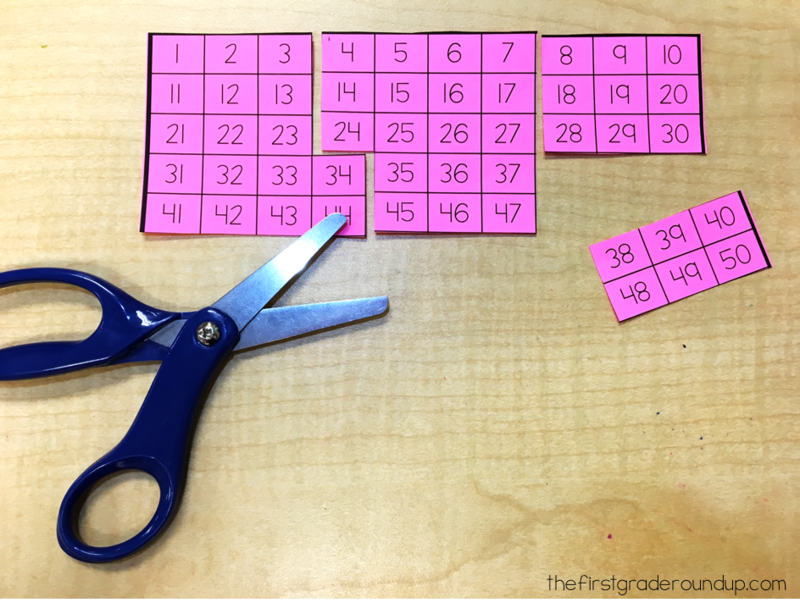 Just be aware that with this scaffold, students are working on recognizing and matching numbers, not number sense and number order. This is not a scaffold I use with my first graders. 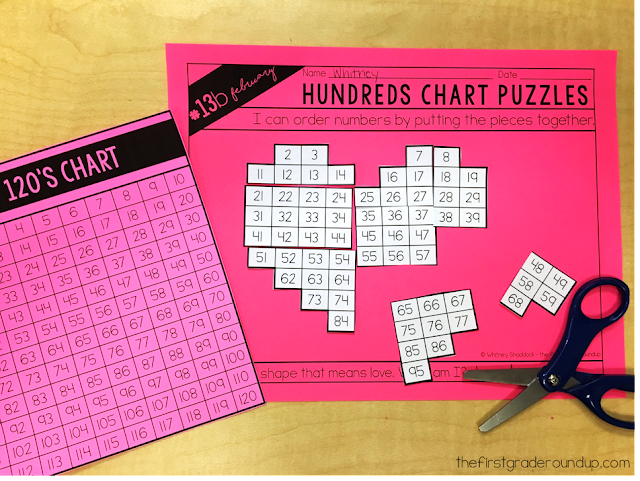 They can refer to the hundreds chart we have in our room, but I encourage them not to unless necessary to challenge and grow their math brains! However, I do use this scaffold with my RTI math groups and lower counters and then slowly take the scaffold away as they improve. And then just keep moving that chart farther and farther away from the puzzle until they don't need it anymore! Where Can I Find Pre-Made Number Sense Puzzles? If you're like I was in the classroom and just want the puzzles made already, then I have a year's worth of puzzles already made up for you! There are two puzzle shapes for each month. And each puzzle comes with two differentiated number levels for 4 total puzzles each month. 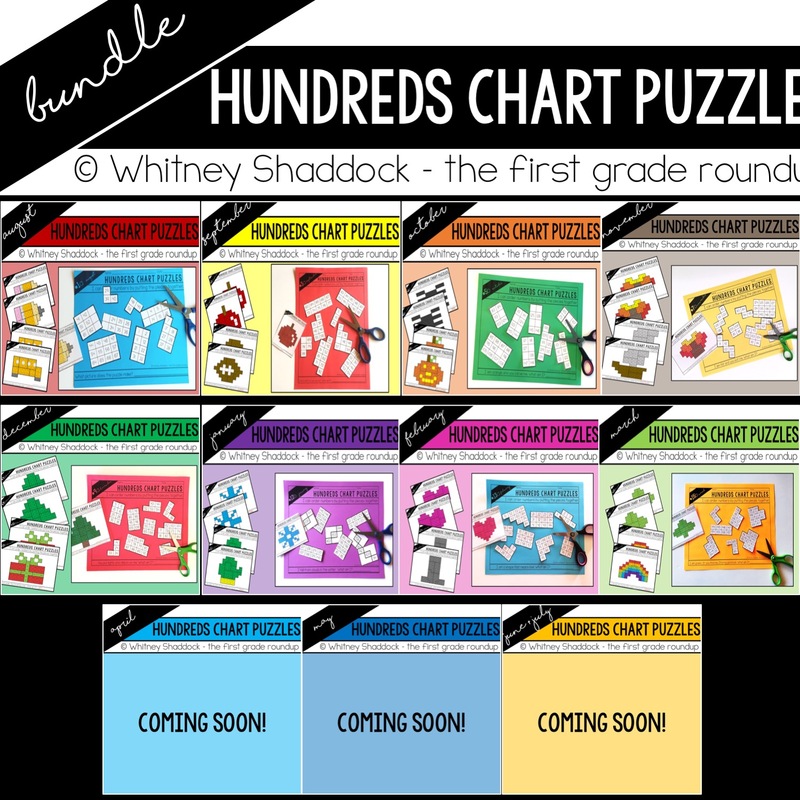 Find the bundle here which also has links to each of the 11 months that are also available individually!